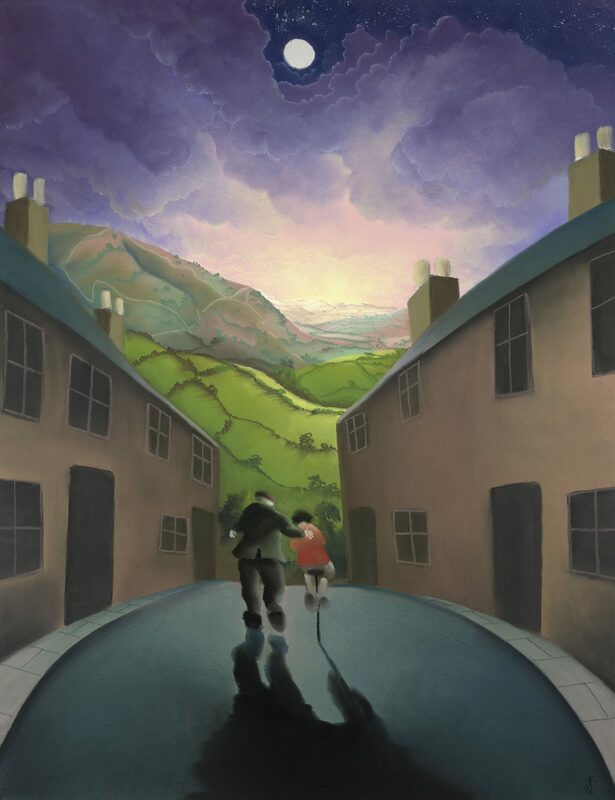 Four stunning works of art have been unveiled by world-renowned Yorkshire artist Mackenzie Thorpe to celebrate the 2019 Tour de Yorkshire. Mackenzie, who hails from Middlesbrough, is one of the biggest-selling British artists of the last 30 years. He was confirmed as the official Tour de Yorkshire artist for 2019 when the full route for the fifth edition – which takes place between 2-5 May – was announced in December. 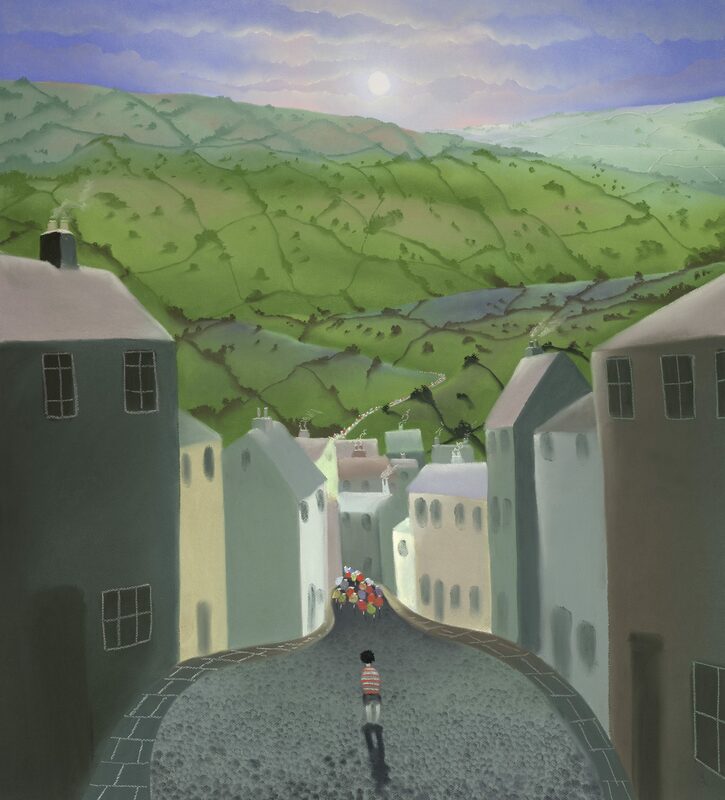 Famed for his atmospheric and poignant creations, Mackenzie’s work is true to his working-class roots and is packed with emotional expression and speaks of hope, love, struggle and challenge – values which align perfectly with the spirit of the Tour de Yorkshire. 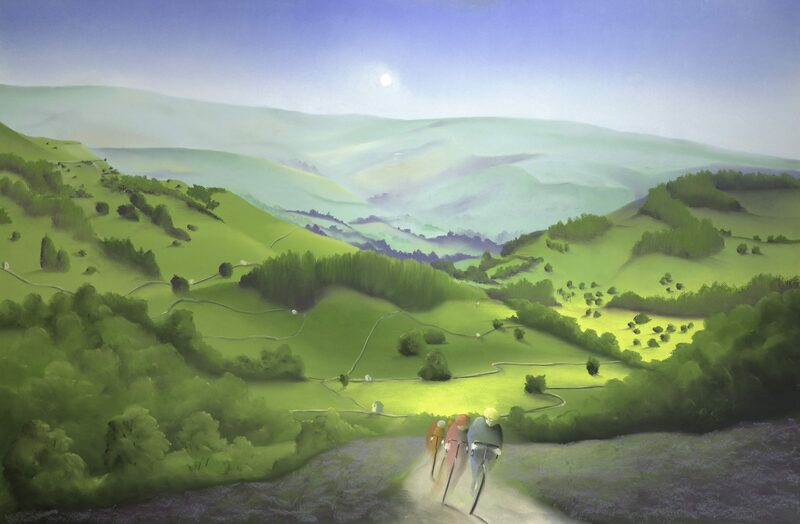 The four works, entitled Yorkshire Coast, Over Moor and Dale, Riding with Grandad and The Boy Without a Bike, have been exclusively revealed today at Arthaus Gallery in Richmond, North Yorkshire which was established by Mackenzie in 1989. “I’m absolutely thrilled and honoured to be the official artist for the Tour de Yorkshire. For me the whole county is a never-ending inspiration, the dramatic skies, the dales and the moors, are like nowhere I have ever been.